For many of us, death is a subject that we would rather not confront. We try our hardest to avoid this often seen taboo topic at all cost. Unfortunately, we will find that death is inevitable for all of us, and we should think about planning our death and funeral to help our loved ones get through the grieving process a little easier. When you take the time to plan your funeral, you may find that it is not as hard as you think, and it is fairly similar to planning other major life events. In fact, there are many incentives to pre-planning your funeral, and here are just a few of them to consider. Payment. Most of us would cringe at leaving our loved ones to pay for our funeral, especially when they are grieving. By pre-planning your funeral, you ensure that your loved ones are not left trying to figure out how to pay for your funeral. Also, if you pre-plan your funeral, you are able to get locked in prices for now instead of when you die. As you can guess, most experts are expecting the average cost of a funeral to rise and pretty much keep rising. You can avoid this added cost by planning ahead. You can also set up payment plans to help stretch out the expenses instead of paying all at once. This all adds up to savings in the long run. You can have it your way. You will be in charge of all the decisions and can ensure that your funeral goes the way that you want it. You can rest assured that your loved ones will not have to go looking for what you wanted or try to figure out what you wanted while going through an emotionally troubling time. It can help put not only your mind but the minds of your loved ones at peace realizing that you are getting the funeral that you truly wanted. Reducing family conflicts. It can be an extremely intense time when you are saying goodbye to your loved one. Couple this with everybody having differing opinions on about what should be done during your funeral, and you are bound to have a few loved ones arguing or fighting amongst themselves. However, if you take the time to pre-plan, all of the decisions will be taken care of and can lessen the chance of your friends and family getting into an emotionally charged squabble. Lifting a burden from your loved ones. As stated earlier, this is an intensely emotional time for your loved ones. They may be emotionally, mentally and physically exhausted. They could be pushed to their limits from their grief and unable to function let alone plan your funeral. 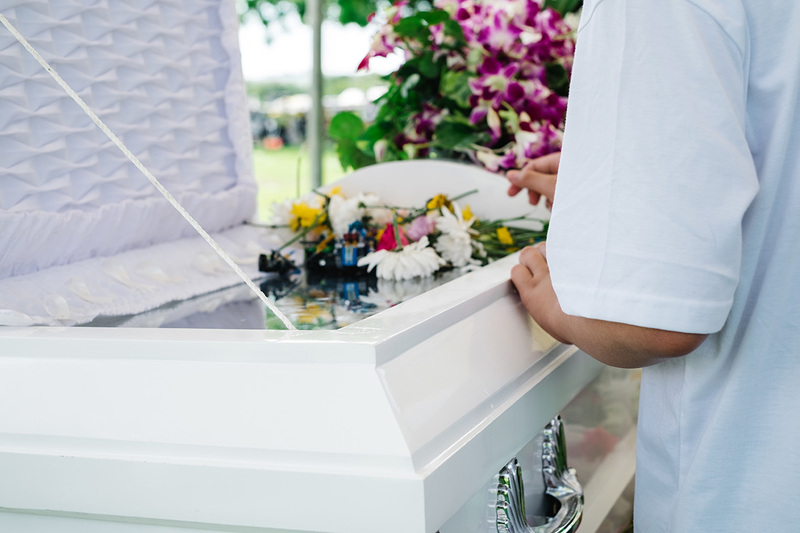 It will take a huge burden off their shoulders knowing that they do not have the job of planning your entire funeral and can take this time to move through their feelings and take some time away if needed. It honestly is a gift for your loved ones knowing that you have ensured that everything is under control.